12 Players (including 3 pro's). Kiawah Island, Hilton Head Island and Pawley's Island, South Carolina. (8 players (including 2 Pro's). Golf Tuition - Master Club Fitter - Repairs and Club Building. Golf Programs - Golf Schools and Classes - Consultation. Corporate Golf Days - Golf Trips. Coaching provided 6 days per week in both Western and South Western Sydney. I have multiple venues that we can provide all levels of tuition, allowing you to improve your golf. Club Fitting. As a Master Club Fitter and regularly ranked in the Worlds Top 100 Club Fitters (2013 - 2018) I am the perfect person to understand what your swing needs in the way of equipment and my service is second to none. I have a full work shop area for all club repair and building work. No job too big, no job too small. All work is done of the highest quality with any work done guaranteed. Fast turn around times at reasonable rates. Corporate Golf days are a specialty with many services being provided from starting and results to organisation and activities and as a Golf Professional golf day favourites like beat the pro, video analysis and club and ball speed measuring is all available. Alone as well as part of Absolute Golf, I have been involved with writing Golf Programs for training, that encourage golf at facilities as well as build structure within a club. We can cater for all your golfing needs. Golf Schools and Classes. Our golf schools and classes are aimed at creating a learning environment for all to benefit from. From full swing sessions to equipment classes, chipping, pitching, bunkers and putting or all round programs that cater to a vast array of skill levels, our group sessions benefit all. Consulting. With 27 years in the golf industry, I have learned a good many things and am able to put them into use to help businesses increase there exposure. Working with golf clubs and ranges to increase golf numbers and participation, equipment and technical companies as training and marketing staff and organisations to help with program development and delivery. Over the past 10 years with Absolute Golf we have not only escorted but organised, marketed, financed and run trips to some of the best golfing venues in Australia and the United States. We are capable of putting together personalised trips for any numbers, to any venues and we will be right there with you when it comes to execution. 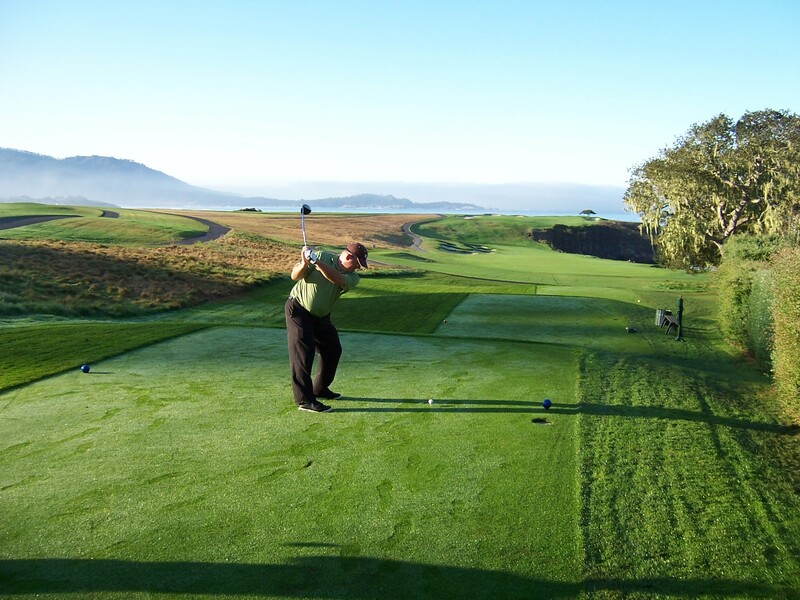 The Masters Tournament, The US Open, Pebble Beach, Pinehurst Resort, Reynolds Plantation, Myrtle Beach, Hilton Head and Kiawah Islands, San Francisco, Palm Springs, Barnbougle Dunes, The Melbourne Sand-belt, Mornington and Bellarine Peninsula's, Adelaide and Perth are just some of the venues we can tour you through with experience.